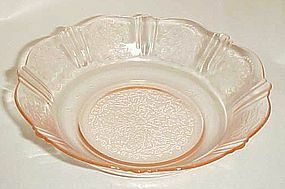 Pink american Sweetheart pattern cereal bowl by MacBeth-Evans Glass Company, 1930-1936. 5 7/8" wide bowl is 1 5/16"deep. Excellent condition. I have 2 available. Price is per bowl. This pretty pink Dogwood depression glass 5 3/4" Dessert Plate was made by MacBeth-Evans from 1930 to 1934. Pattern was also known as apple blossom or wild rose. This one is the old one, and is thin, opposed to the thicker ones they made. This Plate is in very good condition with no chips or cracks. 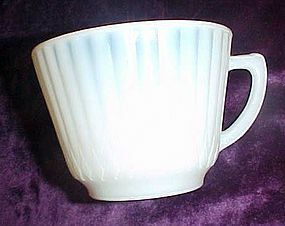 MacBeth-Evans Monax petalware coffee cup 2 3/4"
MacBeth Evans Monax petalware cup with gorgeous opalescent coloring. Measures 2 3/4" tall and is in perfect condition. I have 3 available and price is for each cup. 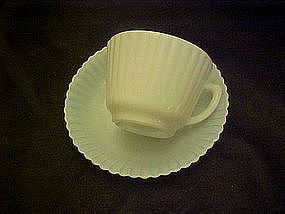 I have smaller punch cups and a few other pieces listed also. MacBeth Evans Glass, 1930-1950. 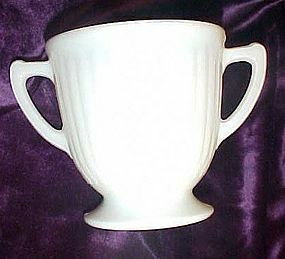 Monax petalware 3 3/8" tall sugar, 3 1/2". Excellent condition with no chips or cracks. 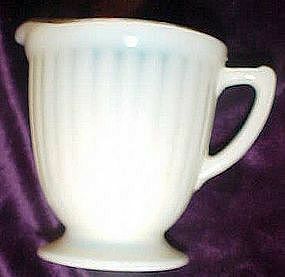 MacBeth Evans Glass, 1930-1950.Monax petalware 3 1/2" tall cream pitcher. Gold top edge trim excellent. No chips or cracks.Excellent all over condition. Nice opalescence coloring. 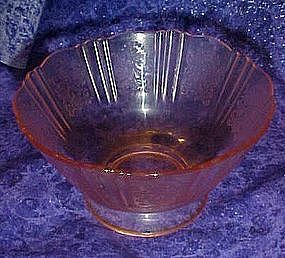 Great pink depression glass sherbet in the American Sweetheart pattern, made by MacBeth Evans Glass Co in the 1930's. Excellent condition. I have 2 available, price is for each. 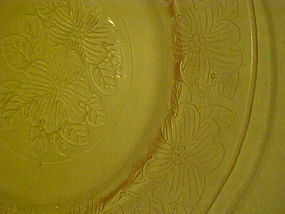 Pretty monax dessert plates. 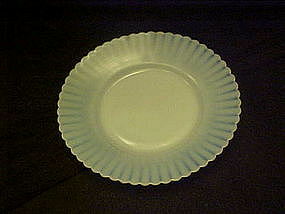 Opalescent petalware plate measures 6 3/8" in diameter. I have 6 available and all are in perfect condition. Price is per plate. 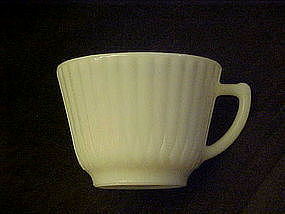 MacBeth Evans petalware cup made of white milk glass. Measures 2 1/8" tall and is in perfect condition. I have 2 available and price is for each cup. Made in 1930 by MacBeth Evans glass company. This pretty opalescent edged milk glas is called petalware. I have 3 sets available. Price is for 1 cup with matching saucer. All are in perfect condition.